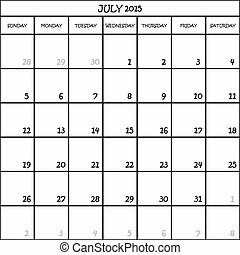 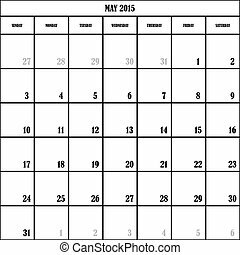 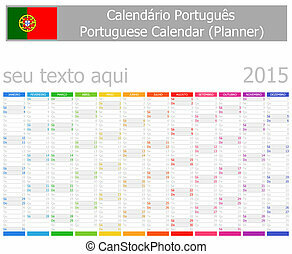 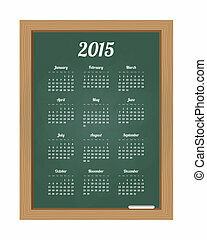 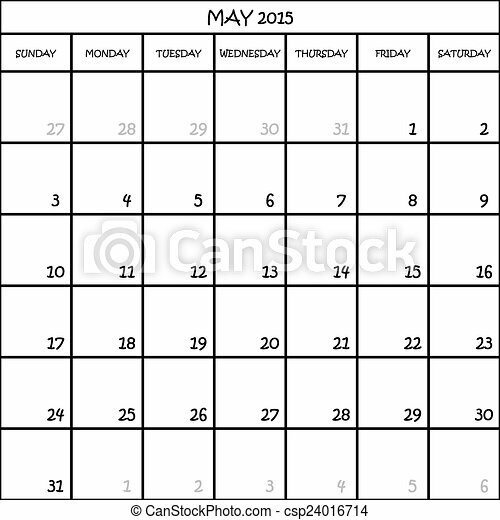 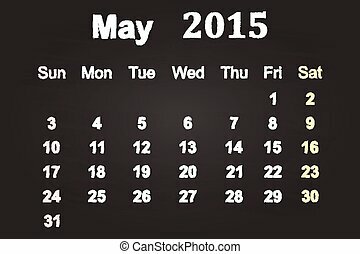 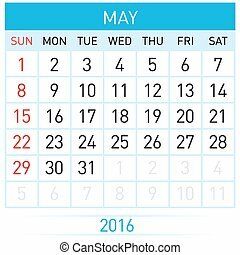 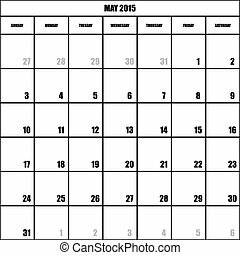 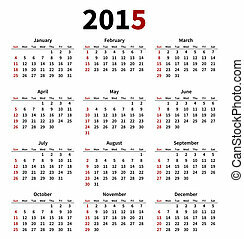 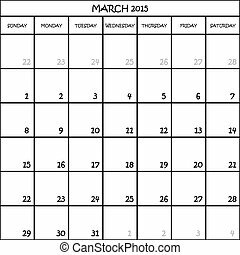 Calendar planner month may 2015 on transparent background. 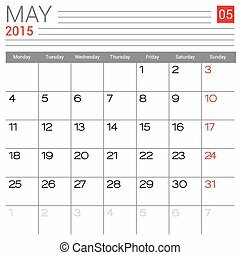 May 2015 calendar vector design template. 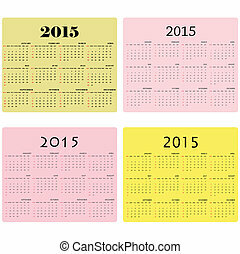 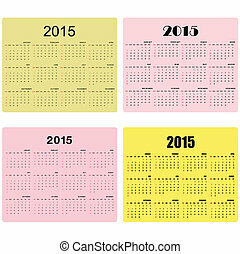 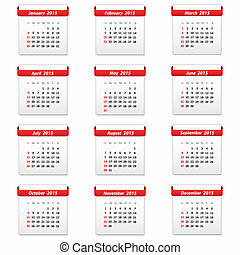 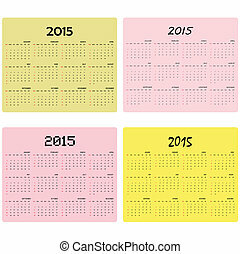 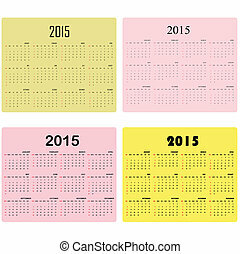 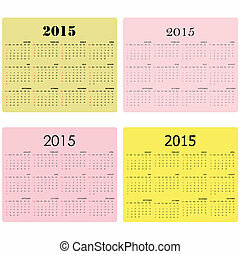 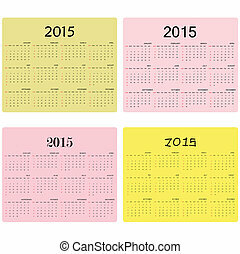 Simple blank calendar illustration. 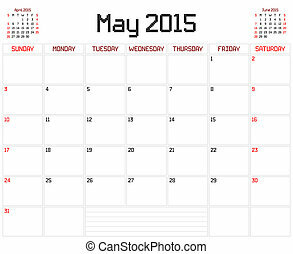 A monthly planner calendar for May 2015 on white. A square pixel style is used.